DreamBig HipHop is the platform where we all can relate to the true struggle of getting to the next level. There’s no shortcut to be an elite athlete and where despair and failure meet creates the special spark that is your DreamBig moment! To dig deep and generate that motivation to be more than average, where politics, society and negativity are only distractions to the ultimate goal of achieving success! 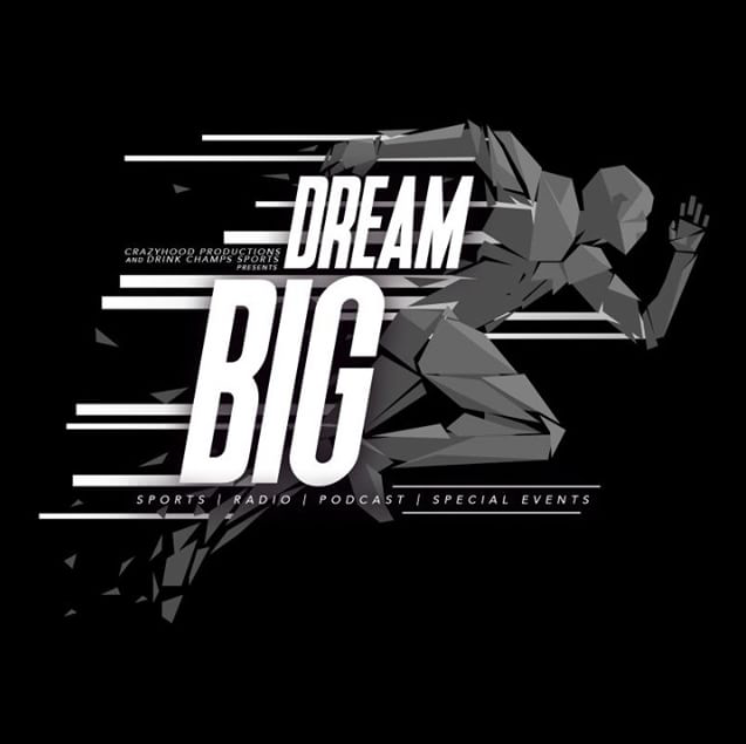 DreamBig HipHop Podcast sets the stage for not only the elite Champions but for those that didn’t make it, their dream Big became a nightmare and weren’t able to flourish. This isn’t for stats and scores this is for untold stories, community involvement, growth and self-awareness. DreamBIG scores a goal with this next guest. Daniel "Eche" Echeverri is a 2018 World Inline Hockey Champion, Pan American back to back Champion with the Colombian Hockey team. 2 time collegiate champion, winning for Florida Gulf Coast University. Daniel tells us his road to triumph from arriving in Florida via Medellin, Colombia. How he first fell in love with game of hockey by witnessing his hometown team, Florida Panthers!! Defitnetly not your traditional South American sport but that did not stop Eche. His road to success has to be recognized and DreamBIG HipHop is here to document, praise, congratulate and recognized his hard work and effort. Eche gives his "DreamBIG Moment" and what's next in the future of Colombia as he prepares for AMERIGOL LATAM CUP 2018! Well in this episode I give thanks to everyone that has been supporting my DreamBIG HipHop effort. I'm very proud of this episode, it has become my favorite. There's no guest here just me, DrinkchampSports, Paul, giving thanks. I am one day late on releasing this bonus episode because I was apprenhended and taken in by the Law on Thanksgiving Eve. I was driving home after having a few drinks, I realized I wasn't in good shape to continue so I pulled over and decided to sleep it off, car off and keys out ignition. I woke up to paramedics and apparently what I thought I was doing right was completely wrong. Car keys have to be in the back, back seat area or outside the vehicle. I had them on the passenger seat however I was in the driver seat. Wrong move! Its still a violation to have them next to me even if I'm not driving just because I have been previously drinking. No need to continue you know the rest. So as I wanted to release this bonus episode on being thankful for everything in my life as of yet,..NOW I'm even more thankful for being free. Salute Y Salud! Episode 2 w/ Kenny Dobbs "International Slam Dunk King"